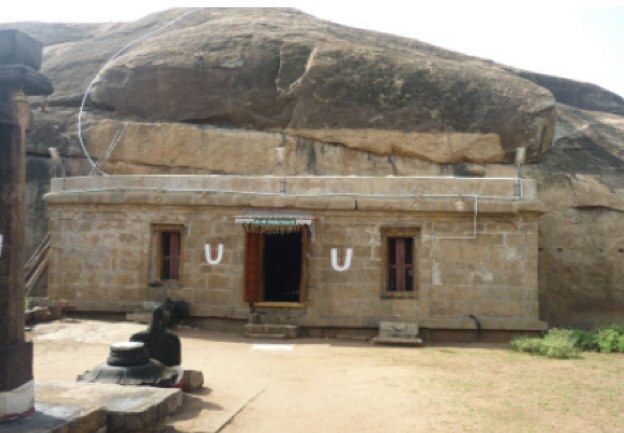 Today morning 27.11,2013 we left for Malaiadipatti temple at 8.15 a.m. from Sri Rangam. 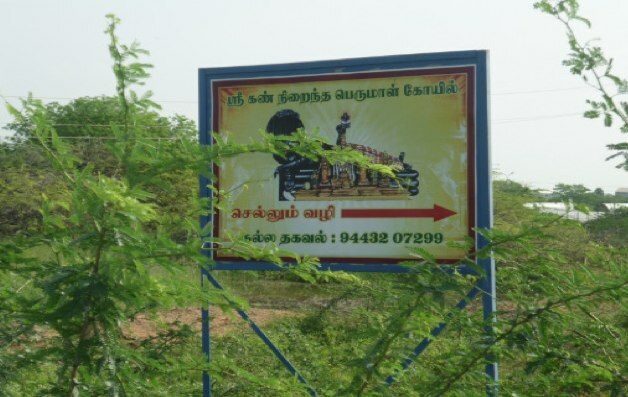 This is 45 kms from Tiruchi located in Kullatur Taluk of Puddukottai District. 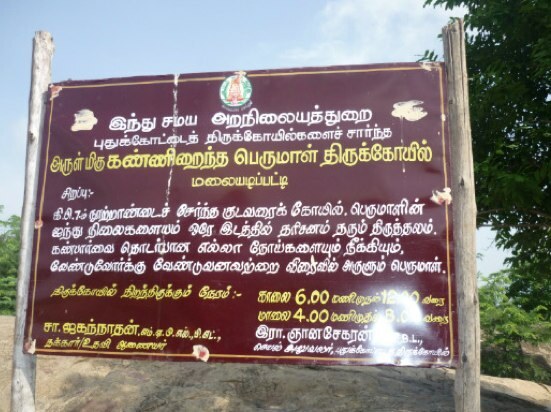 After crossing BHEL Township we went across small villages and paddy fields following sign boards and asking people how to reach Perumal koil. We finally reach the temple and stopped to buy upaharams for Perumal. 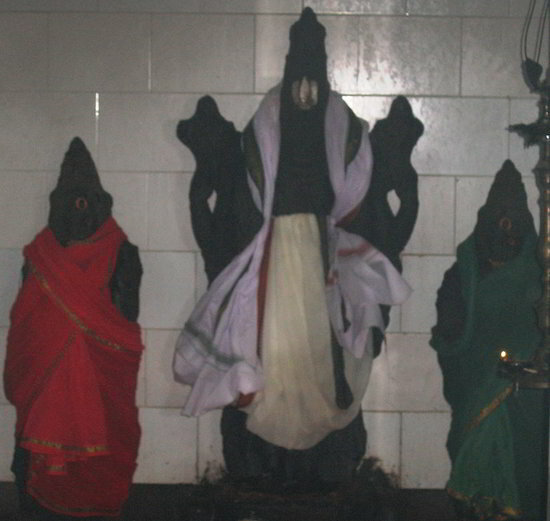 As we enter we spot an iron Dwajasthambham with Garudazhwar sitting at the bottom facing us and there is one more Garudazhwar behind facing Perumal. The Bhattar was making prasadam offerings at the Balipeetham. To the right side of. 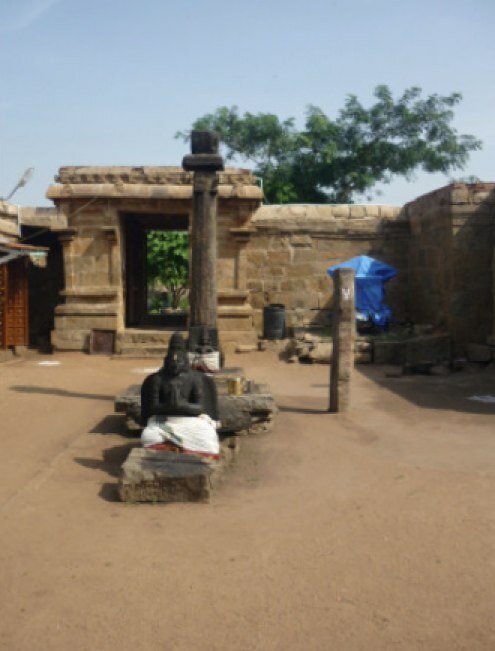 Dwajasthambham was a sannidhi for Kamalavalli Thayar. 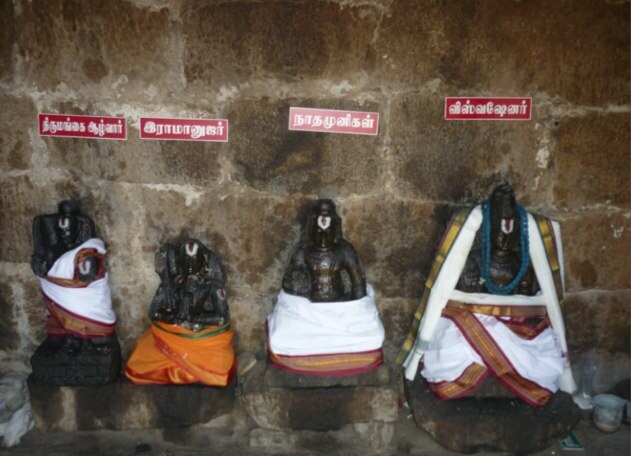 On the left hand side we spotted Nammazhwar, Ramanujar, Nathamunigal and Visvaksenar. 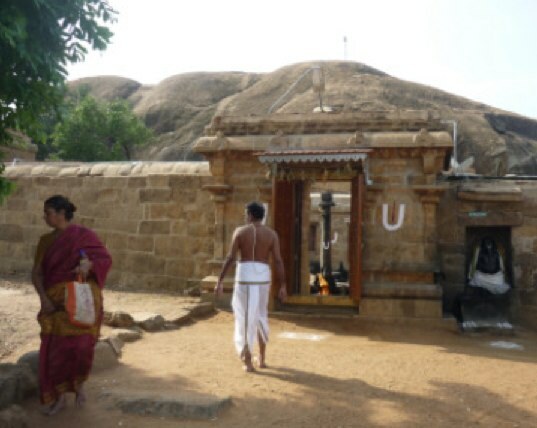 We then entered the temple which does not have a gopuram but has instead a hill on its head. 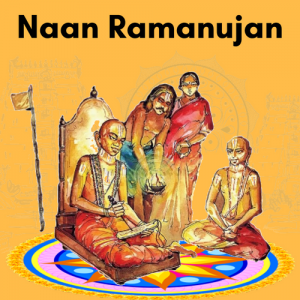 As we entered inside we saw Perumal lying on His back with His right hand stretched out and His left hand in Ahvanam with the five headed Anantha forming a hood. Perumal’s Tirunamam is Anantha Padmanabhan but He is better known as Kan Niraindha Perumal. There were silver rings on all fingers. His feet were adorned with toe rings and rested on a lotus asanam. The garbhagriham was a cave and rock cut figures could be seen on the walls. Brahma the creator was seen rising from His nabhi and various gods were cut on the rock. The whole cave was filled with beautifully sculpted icons. We were shown Garudazhwar with spread out wings, gandharvas, Madhu, Kaithabha among others. 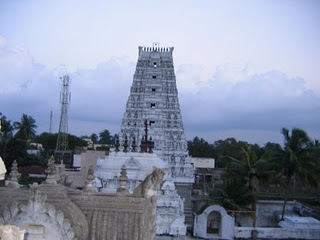 To the right of Perumal was seen a huge Yoga Hayagrivan adorned with many ellakai (cardamom) garlands. 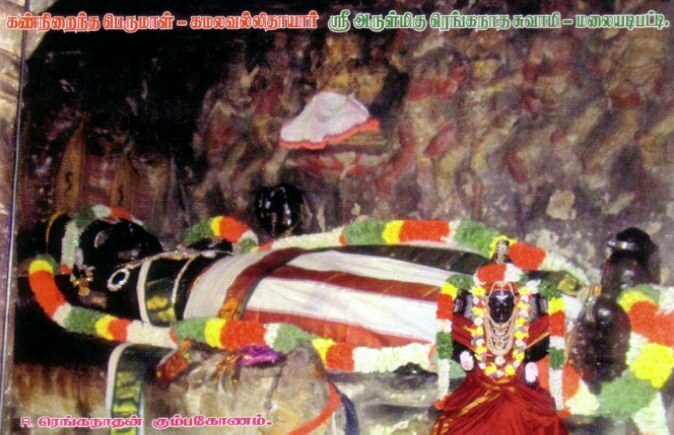 To Hayagreeva’s left was Parthasarathi Perumal. To the left of Anantha Padmanabha swami could be seen the beautiful lion avathara-Sri Nrisimhan. 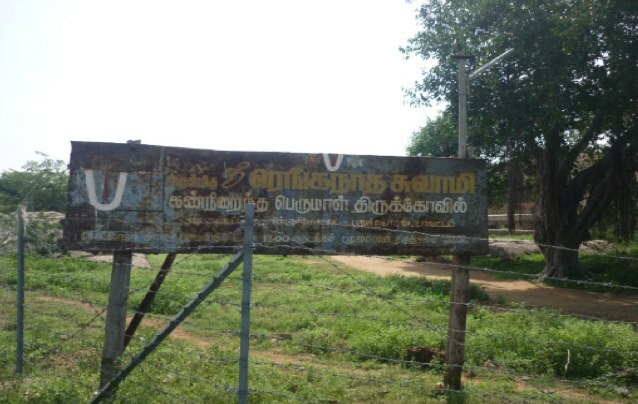 To His left was Vaikuntanatha Perumal. 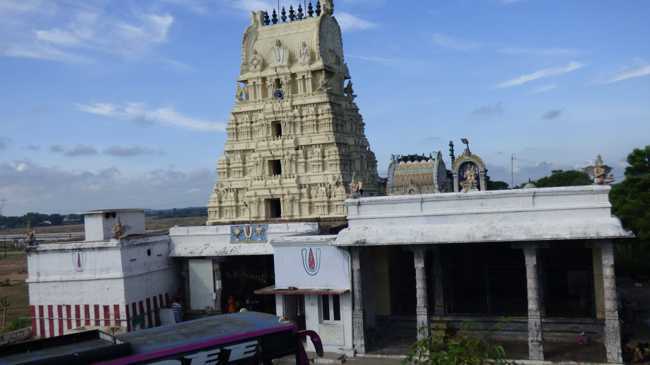 Bhattar swami gave a list of the effect of having darshan of this Perumal. 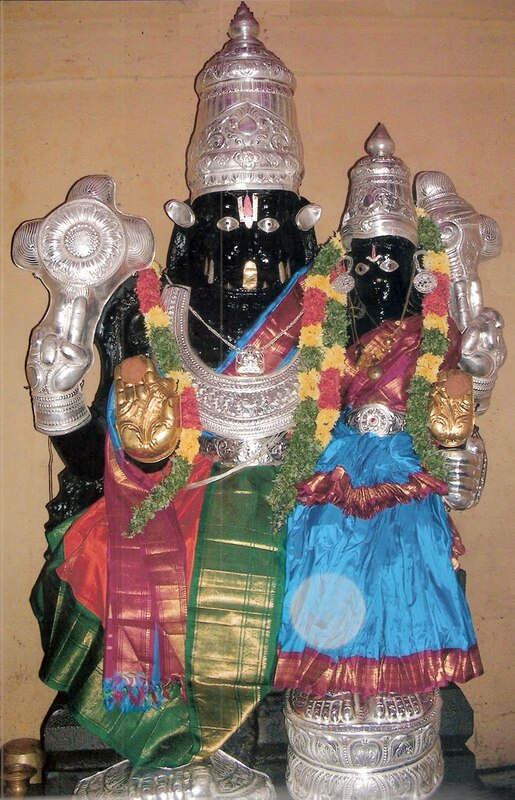 Among them this Perumal is known to cure eye-ailments and has even given sight to the sightless. He removes drishti doshams and bestows astaishwaryam on the devotees. 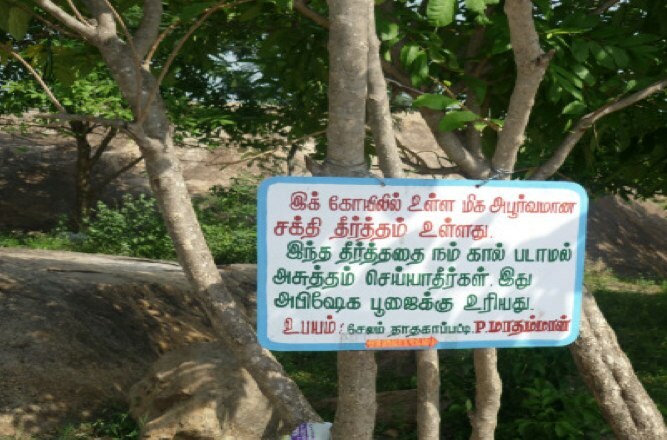 He is the kula deivam to about 40 villages around the area. Overwhelmed by the magnificence of the Lord we stepped out and had darshan of Kamalavalli Thayar. We then went to have a look at a clean water body close-by. Since we were told not to dirty the water which was used for Tirumanjanam and not to wash our feet, so we did prokshanam and fed the many fish moving inside and relaxed for sometime admiring the beautiful scenery around and marveled at the creations in rock which were more then 1000 years old. People visiting near-by places should take some time off to relax and witness beauty of the temple and its surroundings. Thank you Swamin for sharing this. Very informative. We see lot of important temples and events which we have not seen heard, thanks a lot and pranams to you for doing this wonderful jobs. 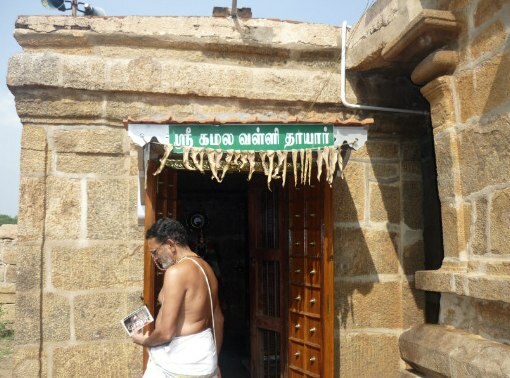 I had the privilege of having dharsan at malayadipatti a few months back thanks to my cousins who are in the habit of visiting this temple often. 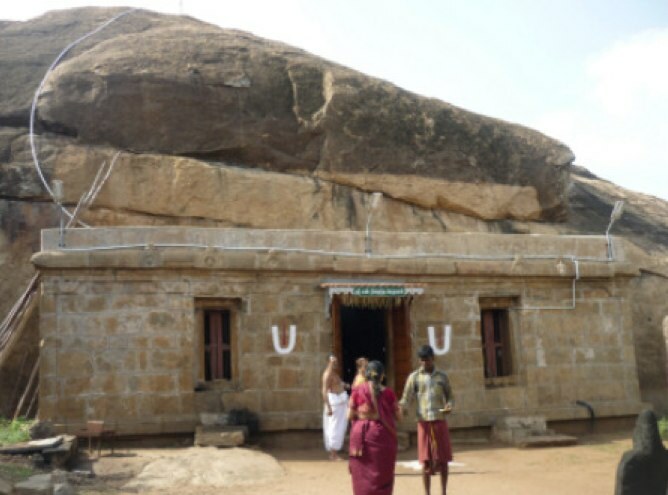 This pracheena temple needs patronage in cash and kind for improvement as it is situated in a remote village. As droplets of water make a ocean. 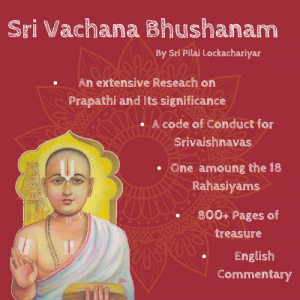 I thank Smt Vyjayanthi and Sundararajan for writing this short script bringing out the beauty of the Lords of this temple with excellent photographs. 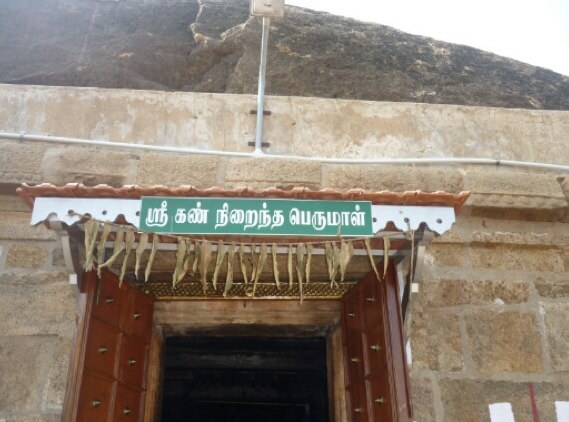 If Shri A M Rajagopalan and others write about this temple it will go a long way in the improvement of the temple and also help and guide sevarthees to get the kadaksham of the Perumal and Thayar at this rare temple. Excellent Information. The punya goes to the the people who put this information. I pray god to give me a chance to visit him. Thanks to everyone for the feedback.Good things have to be shared. 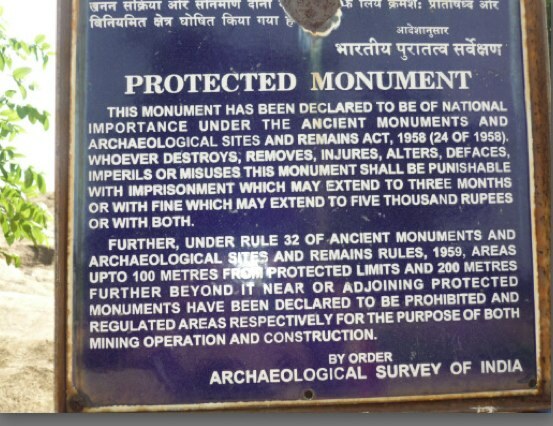 Excellent blog with rare temple informations. I feel sad yhat i had not come across this blog till now.